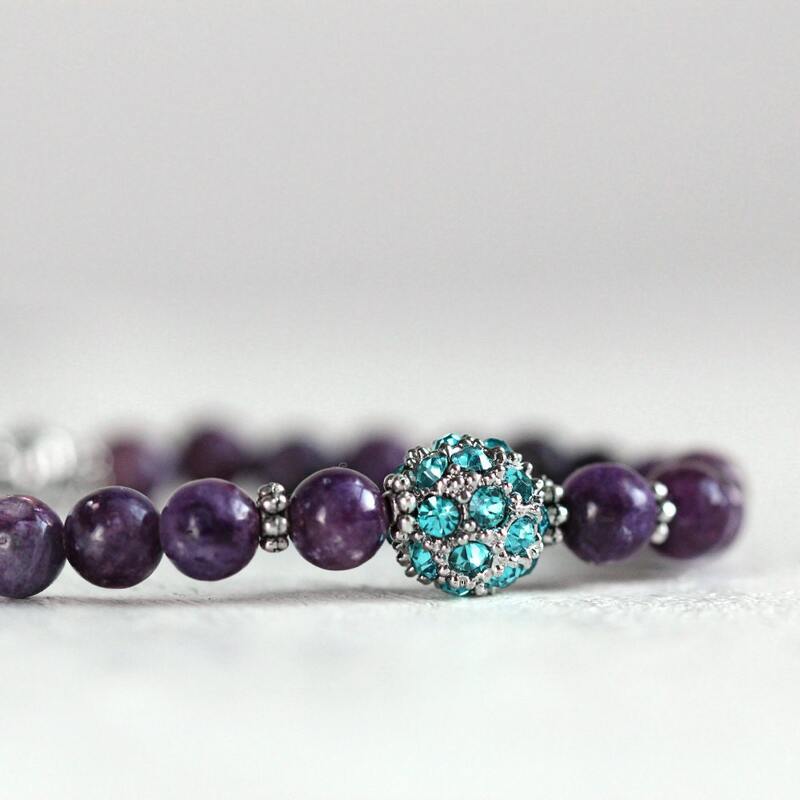 This fun and colourful gemstone and crystal pave bracelet is the epitome of exotic elegance, just the thing for adding a dash of colour. 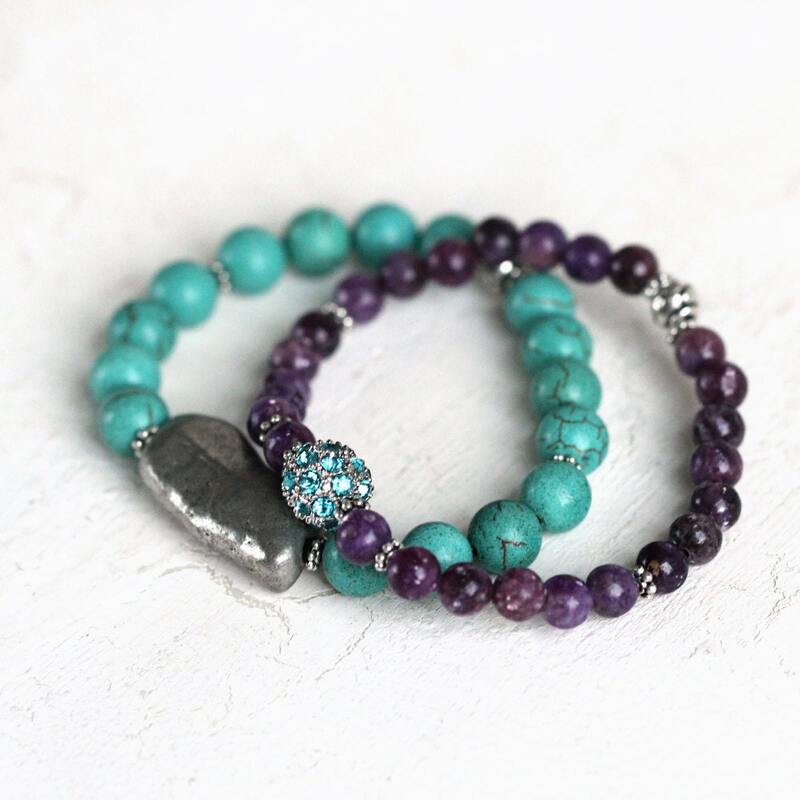 Perfect worn alone, but sensational layered and stacked with other bracelets, this purple crystal pave bracelet, with Lepidolite gemstone beads, is a fabulous, feel-good accessory! 'Pave' settings consist of lots of small stones, often diamonds, set closely together in metal. The jeweller pierces the metal with many holes in a honeycomb pattern, and after hand setting the stones into the holes, the jeweller then uses little beads of the metal around each stone to secure them in place. 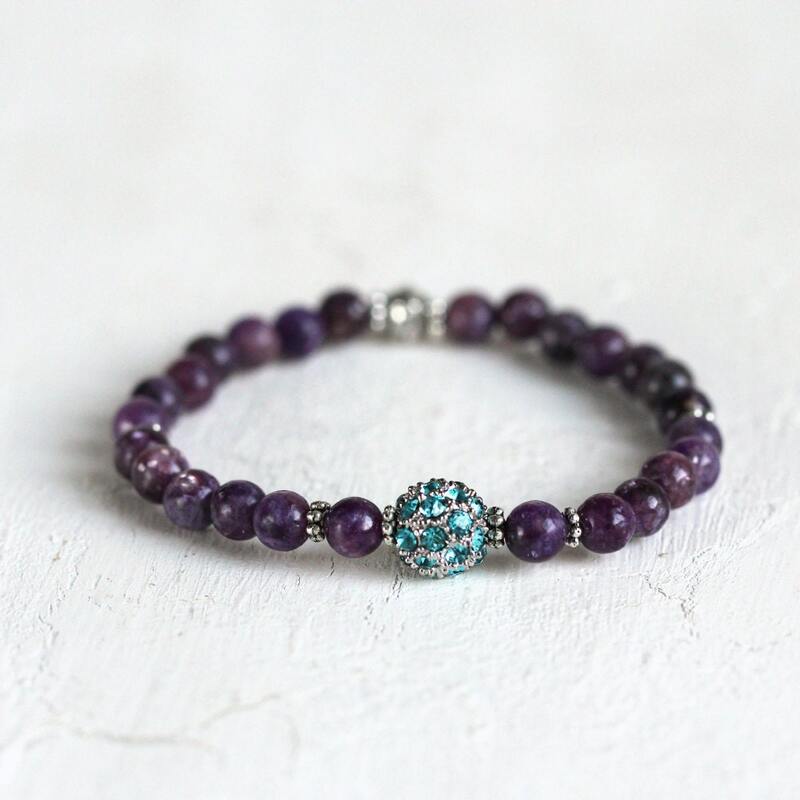 The end result is a gorgeous jewellery piece that appears to be paved with gemstones. 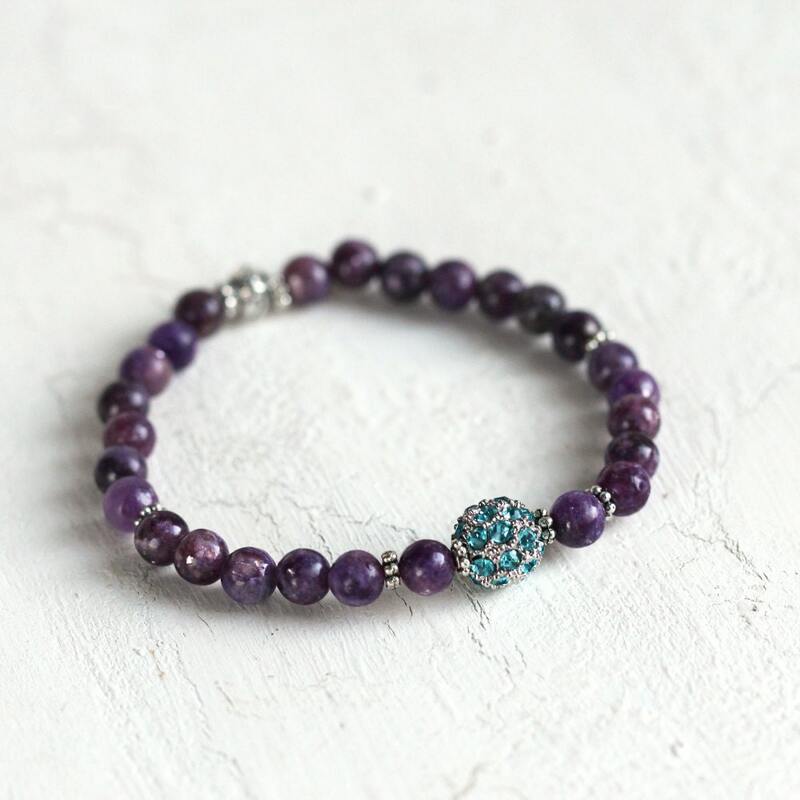 No more struggling with fiddly clasps either, this bracelet stretches so you can easily roll it on! Default size is approximately 18cm /7 inches in length. 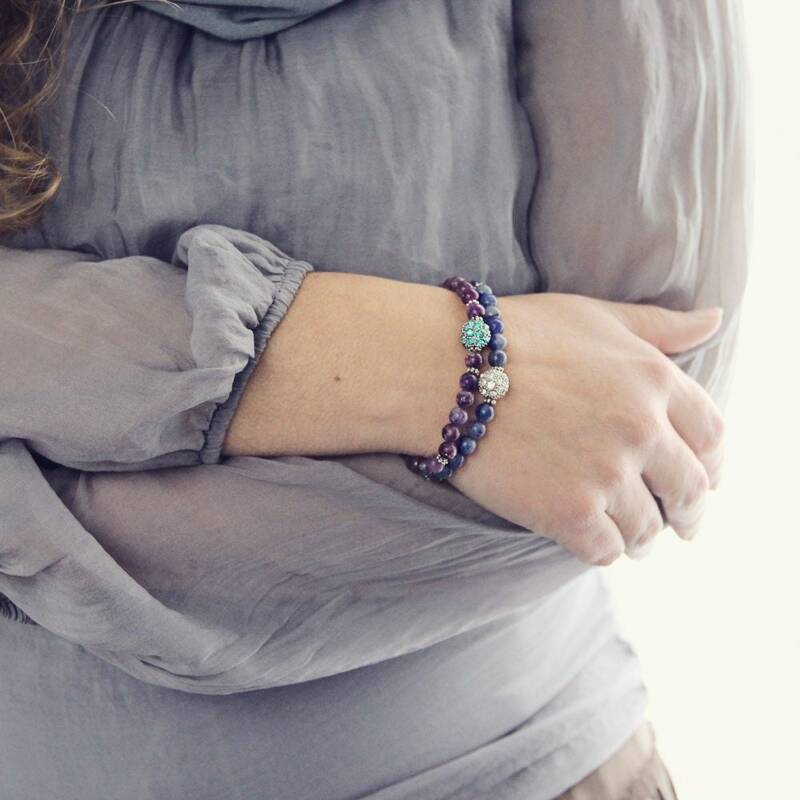 Would make a sensational gift for loved-ones, friends, family, acquaintances, or co-workers, especially for those who like their style to be refined and elegant, yet colourful. * Lepidolite stones approx 6mm.